I have gone on record as saying that I’ve never had a genuinely good meatloaf sandwich, and I believe that’s because it’s a much more difficult sandwich than most people seem to think. To begin with, making a really good meatloaf isn’t easy, they’re far too often dry and bland. Beyond that the proportions in the sandwich are tough to get right, with enough meatloaf to matter you need a really fine balance of other ingredients, and it just wasn’t something I’d ever seen anyone pull off. 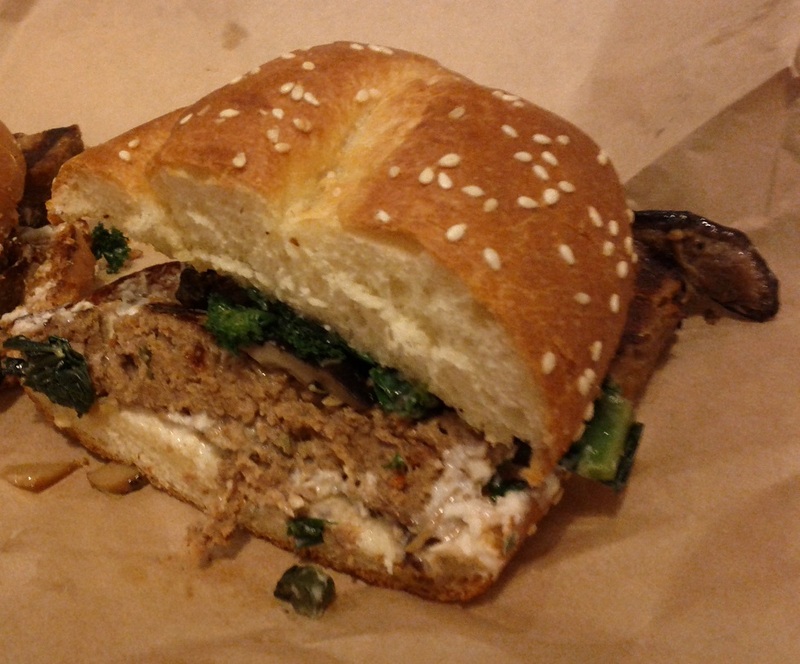 Until, that is, I tried the meatloaf sandwich at Mendocino Farms. In keeping with the typical offering from Mendocino Farms, it’s an upscaled meatloaf sandwich. Wagyu beef joins Japanese mushrooms, steamed kale, horseradish crema and herb aioli on a toasted sesame bun. Previously that kind of thing has missed the mark for me, specifically at Mendocino Farms, but here it seems to be just how to crack the meatloaf sandwich. The meatloaf was rich and not at all dry, the kale was bright and earthy, the mushrooms playing right between the two, earthy and rich. The crema was sharp, and the toasted bun a nicely-yielding shell. As with all sandwiches containing horseradish it could have used more horseradish, but that’s really more a personal preference than any real rule. The last meatloaf sandwich I had nearly had me giving up on the whole archetype, so I am especially grateful for Mendocino Farms’ shining example. Let that be a lesson to me. The way we see sandwiches is as much about our eyes as it is about the landscape, and we’re better served by setting off exploring than by thinking we’ve seen it all. This entry was posted in Sandwich Reviews and tagged Beef, Los Angeles, Mendocino Farms, Needs More Horseradish, Reviews by Pete, Sandwiches I Have Eaten by Pete. Bookmark the permalink.